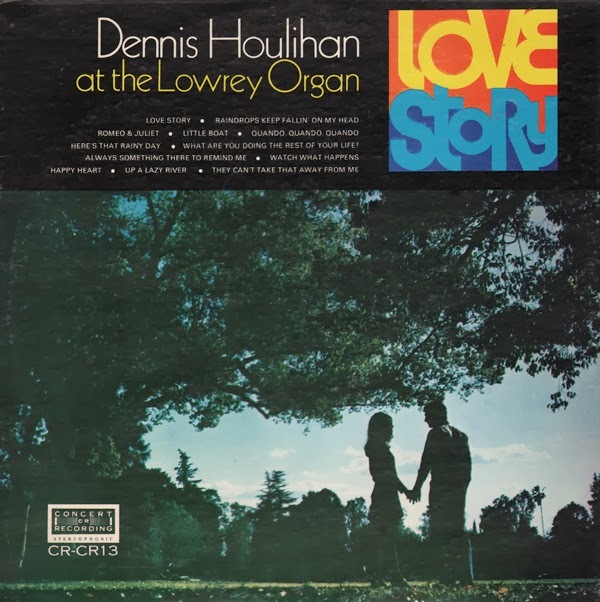 From the back cover: Dennis Houlihan at the Lowery Organ… a happy combination of exciting organist and fascinating musical instrument. Dennis's career got off to an early start when he was selected as one of the "Outstanding Teen Talents of California" in statewide competition. Ever since, Dennis has maintained a busy schedule of concerts and personal appearances. He has entertained at numerous sporting events from hockey games to baseball – including performances at Wrigley Field, home of the Chicago Cubs. He has also been featured daily on KFSN-TV "Funtime" where has was known as "Uncle Dennis" to his school age audience throughout central California. On the show, he amazed his young guests with the variety of sounds that the Lowery Organ produces. Dennis has regularly appeared at central California's finest supper clubs. Demonstrating his versatility, he has also presented numerous organ concerts of sacred music for many churches. 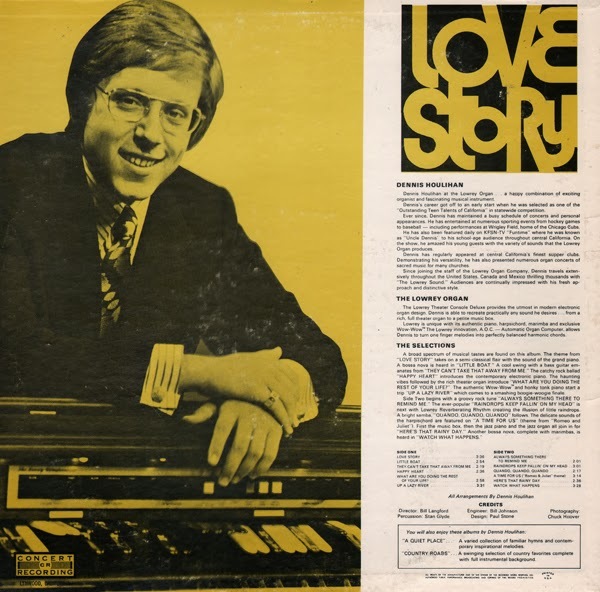 Since joining the staff of the Lowery Organ Company, Dennis travels extensively throughout the United States, Canada and Mexico thrilling thousands with "The Lowery Sound". Audiences are continually impressed with his fresh approach and distinctive style. Book-fold 2-record set featuring lush arrangements, terrific engineering and early 70s light pop sonic treats that you know and love. 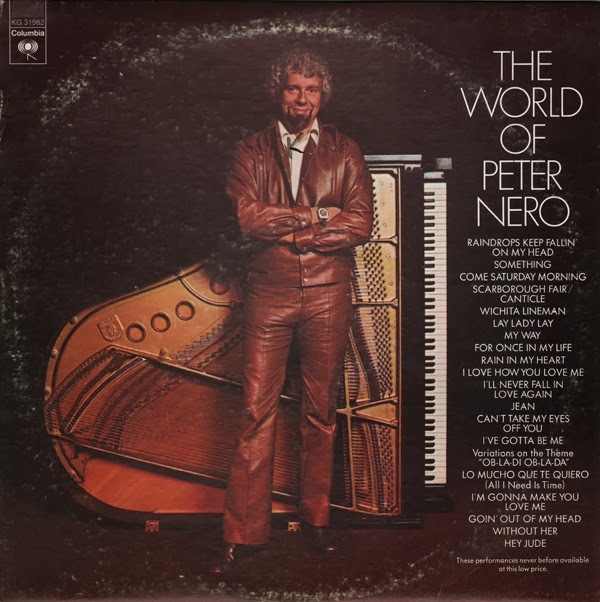 Apparently this album was left behind, on a well-picked over discount shelf, due to the cover looking a bit like many other vintage budget Hawaiian music LPs most collectors tend to avoid. At least, that was my opinion as I glanced briefly at the cover. 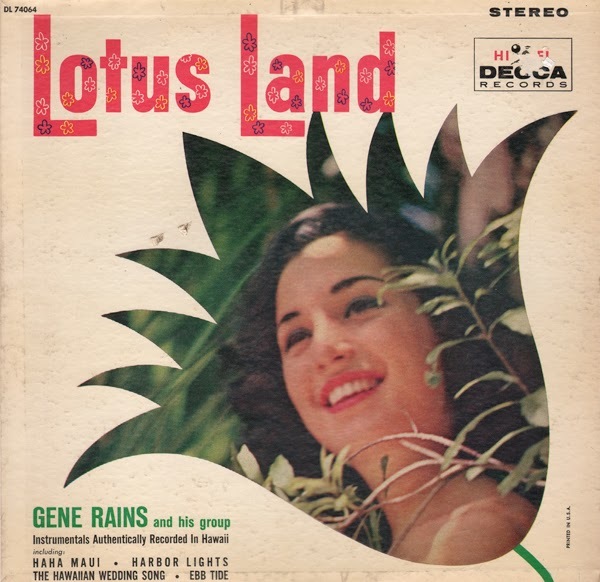 Of course, this is a fine (and first, for Rains', according to his wiki page) exotica album. 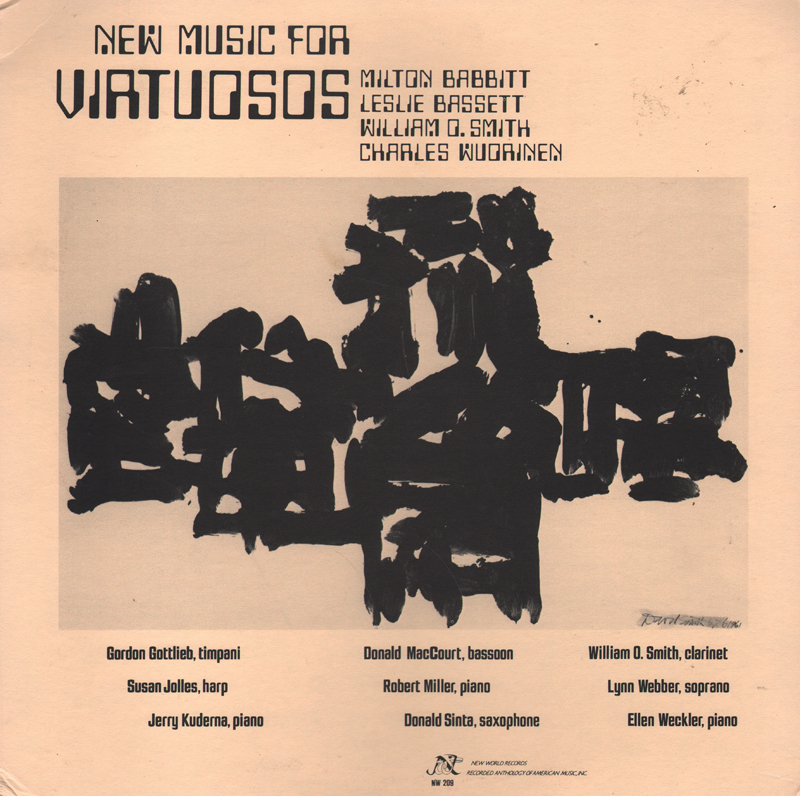 Excerpt from the back cover: This (…you can't hide talent) seems to hold up in the case of Gene Rains, who comes to us from Hawaii in the wake of such noted artists as Alfred Apaka, George Kainapau, Mahi Beamer, Sterling Mossman, Martin Denny, Arthur Lyman, Charles L. K. Davis and others who have made their marks in the recording world. As a matter of fact, it was the late Alfred Apaka who discovered the Rains group in some obscure bar in Honolulu and signed them for the build-up in the famous Shell Bar of the Hawaiian Village Hotel in Waikiki. We happened to be there in September '59 on a recording junket, chiefly concerned with recording three albums with Apaka, and Alfred insisted that we listen to Gene and his quartette. 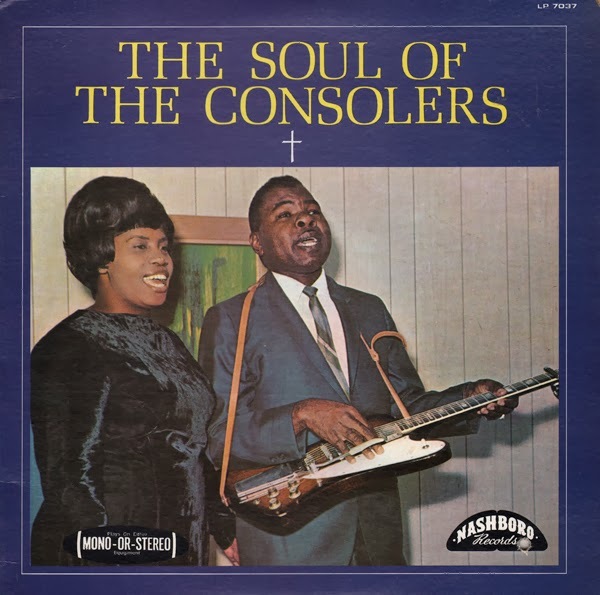 From the back cover: While recording this album in the cold dull atmosphere of the studio, Mrs. Pugh forgot herself and shouted and cried out the ending of "Stop by the Church". In fact, throughout the entire recording session, Mrs. Pugh would regularly stop singing in order to dry her eyes. "Now if that ain't soul, what is it? ".